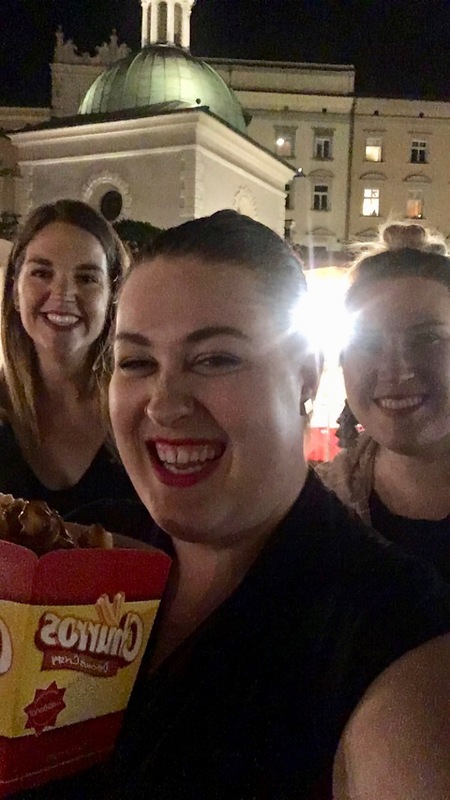 If you read this week’s Friday Five you’ll know that Emily and I stalked down churros like it was our job! 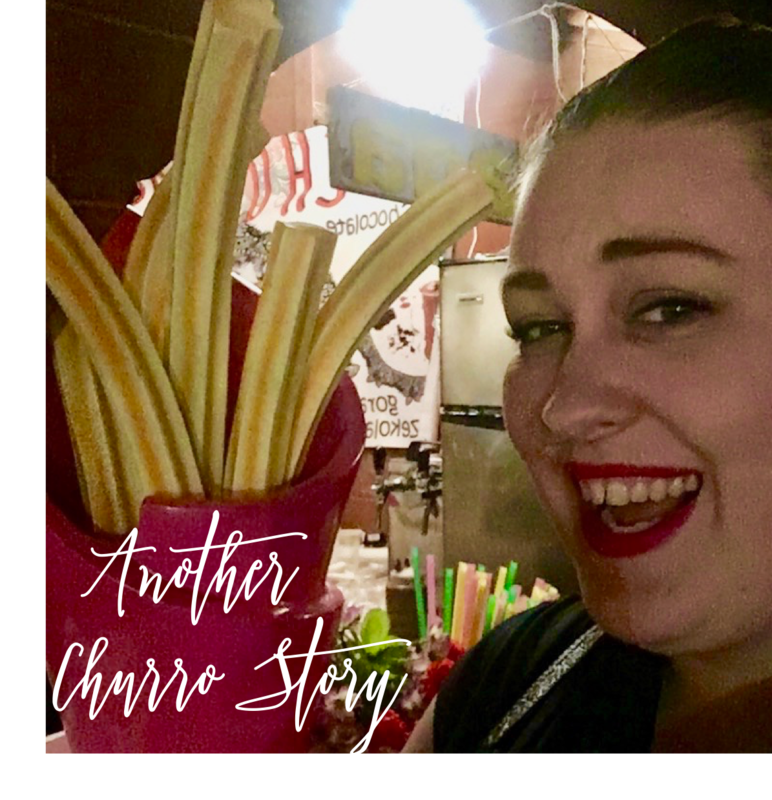 While writing that post I realized I have a funny churro story that I haven’t shared yet. Then while looking for a picture for this post I realized that I have ANOTHER churro story. So here you are, about to have the thrill of a lifetime, two churro stories in one post! Now, if you haven’t read the first churro story or if you are unfamiliar with churros, please educate yourself first here! This churro story took place one day after the first churro story. Emily and I wandered back to the square in search of Starbucks and of churros. As we were on our way to Starbucks we saw a new churro stand! We were so excited! So excited that we rushed to Starbucks, got our coffee to go, and got in line for churros. I was shocked and wondering where I could have met this churro man before. As I was wracking my brain trying to figure out how this man would know my name I suddenly realized that my Starbucks cup said my name on it. Very smooth churro man, very smooth. Emily didn’t realize that and was so impressed with this man’s knack for guessing names. As we were walking away she was still so excited that he guessed my name correctly. Then I had to let her down easily and tell her that he read my name on my cup. After that she wanted me to go back and give the man my number. I refused and now we’ll never know what might have been. hahaha oh gosh! The picture above was not taken during any churro story you’ve heard so far. This one was taken at a farewell. You see, the other grade 1 teacher left before the end of the school year. Yeah… I’m not going to say much else about that but it was terrible. At the time neither Emily nor I knew that she would be leaving soon. On her last weekend in town, we went to the square to have dinner. You see, her ex boyfriend was in town and she wanted to stalk him down. We knew this wasn’t the best of ideas and so we attempted to distract her with dinner. And then we saw a churro stand! Of course we had to get some churros. This was the last time we ever hung out before she flew back over the ocean to the US and she ended up stalking down her ex with someone else the next night so our best efforts didn’t work out too well. At least we got churros out of this weird situation. Here is a super low quality picture from our farewell churro outing! That’s it. I’m out of churro stories for now. I’ll let you know the next time I track them down!